Amazon Appstore to Go International This Summer? 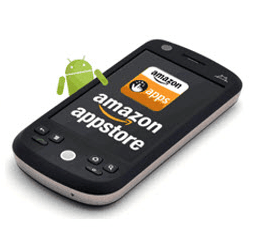 The inevitable international launch of the Amazon Appstore got one step closer to reality today. Rumors are going around today that Amazon plans to launch the Appstore in Europe later this summer. AllThingsD has a source that's told them that the European launch is definitely going to happen but the timing isn't set in stone. They're also reporting that Amazon is going to a time frame to accept submissions from international developers next week. That second part of the rumor doesn't make much sense, and it kinda makes me wonder if there's any truth to the story. You see, Amazon already sells apps from developers not in the US, including Rovio (Angry Birds), BitHack (Apparatus), and others. Okay, one is no longer in the Appstore, but my point remains. I'm not going to put too much weight into this rumor. All it says is that the launch is going to happen this summer. Other than narrowing own the timeframe it doesn't really tell us anything. Don't get me wrong, I believe it's going to happen. Thanks to the gaff last fall we know that the only thing keeping the Amazon Appstore in the US is Amazon's own decision, not any technical limitations. But I do think Europe is the most likely expansion. That's part of the reason I took the time to look at whether Amazon could launch the Kindle Fire in the UK. And of course Amazon isn't talking; I asked and was told that they had not announced anything. That's not quite a denial nor is it a no comment, thus making it the ultimate noncommittal statement.